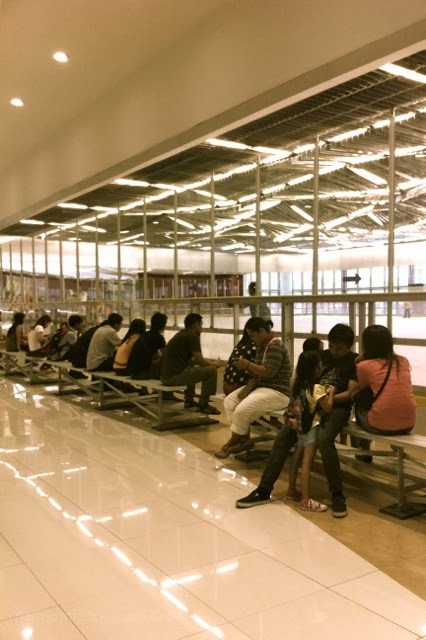 Have you been to the new ice skating rink at SM Megamall? It's bigger (I think) and better than before! 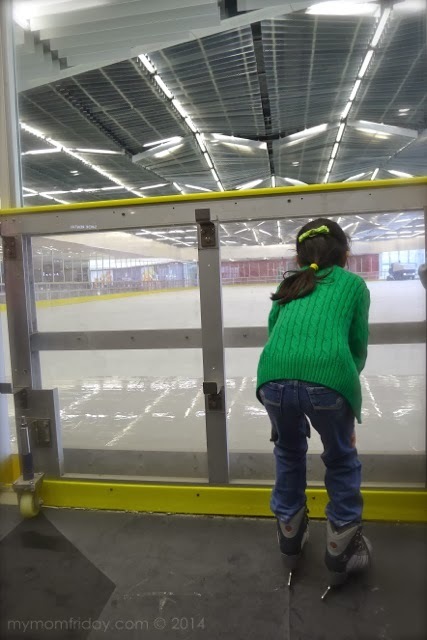 I brought my girl yesterday since she was curious and fascinated with ice skating for quite some time now. She clearly had a blast with her classmates that she's now bugging me to schedule a few hours on the ice again. 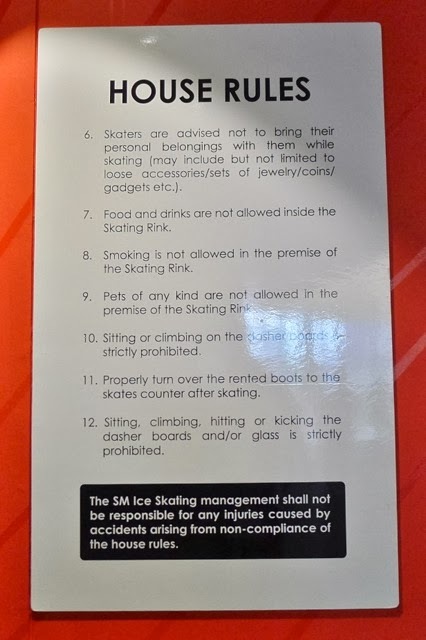 First time I tried ice skating was in the early 90s when the mall opened the very first ice skating rink in the country. It was awesome! 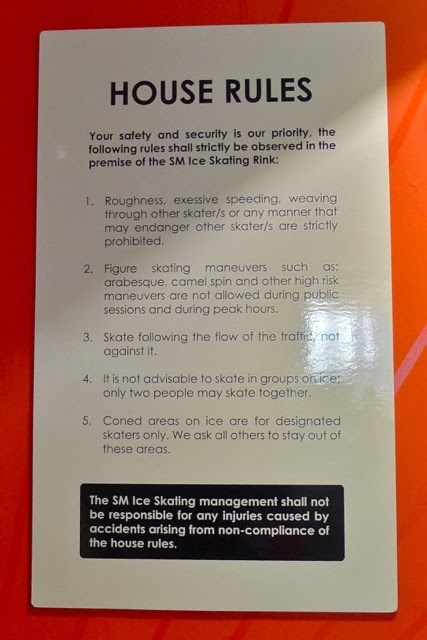 I still remember my when college friends and I trooped to the lower ground floor of Megamall and patiently queued on opening week just to try skating on ice for the first time in our lives! 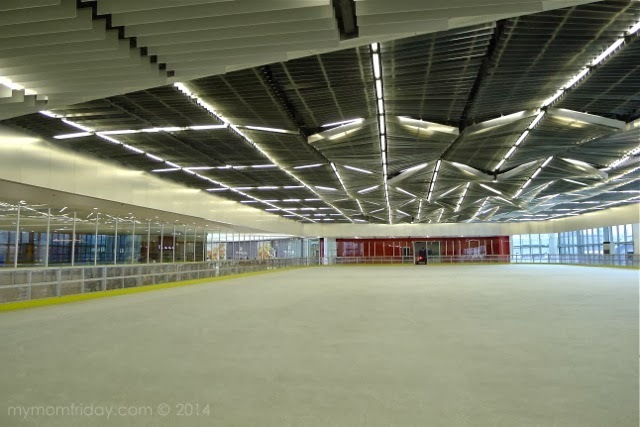 =) Eventually, the interest from the public waned and they closed it down. 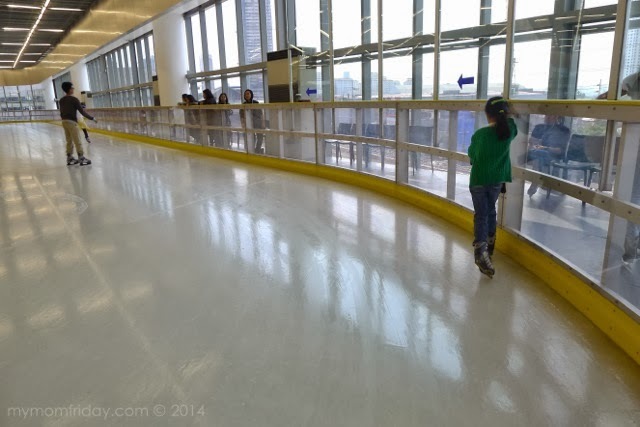 This time around, it was my turn to bring my girl to experience the thrill of ice skating. The boy will come along on our next visit. 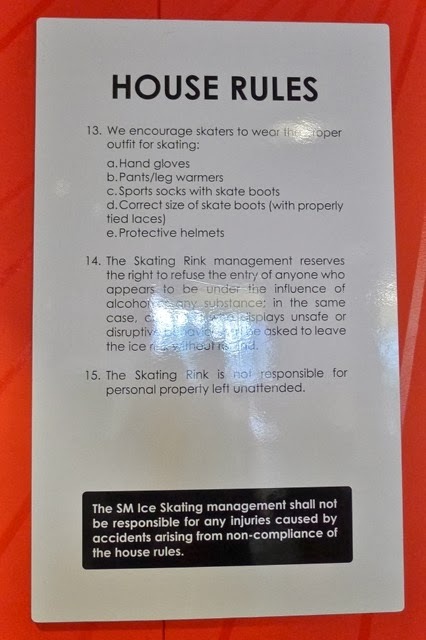 So yesterday, we spent over an hour trying really hard to ice skate. 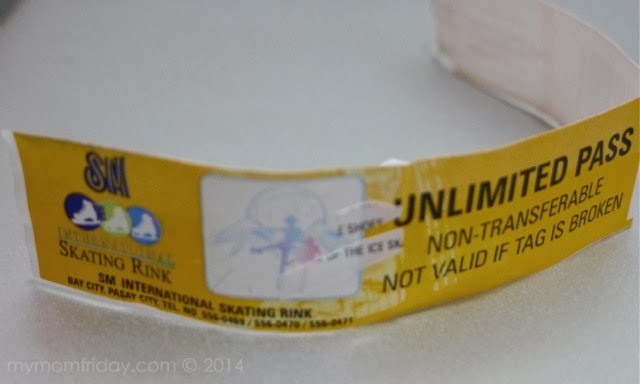 It was two decades ago, since I last skated, and I wasn't very good. 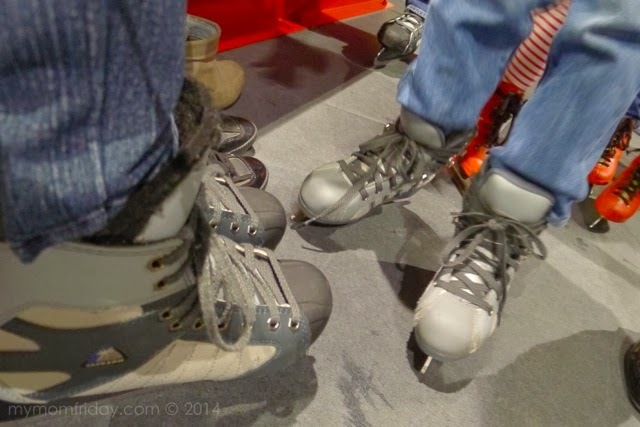 At least I was able to find my rhythm and balanced without holding on the side rails for the whole stretch of the rink at some point. That was then. It was back to square one for me and I am learning again with my girl. 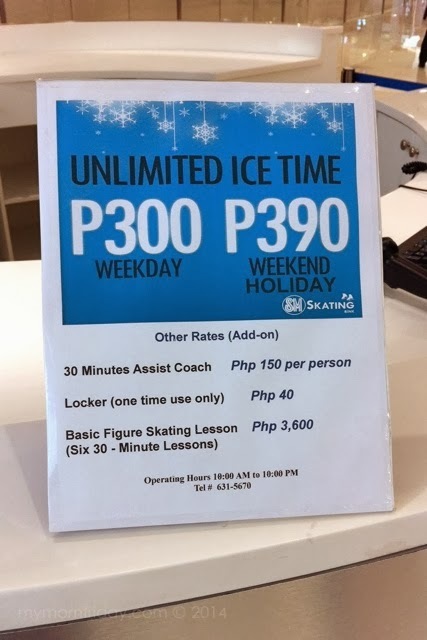 Here are the fees if you plan to skate: P300 / P390 unlimited time, same rate for kids and adults. 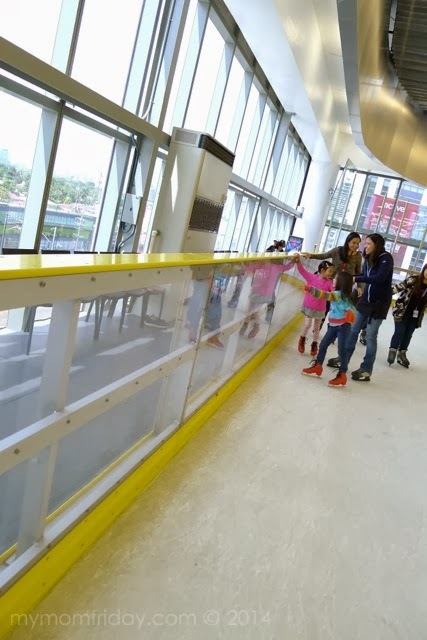 Companions can wait outside the rink, by the benches. 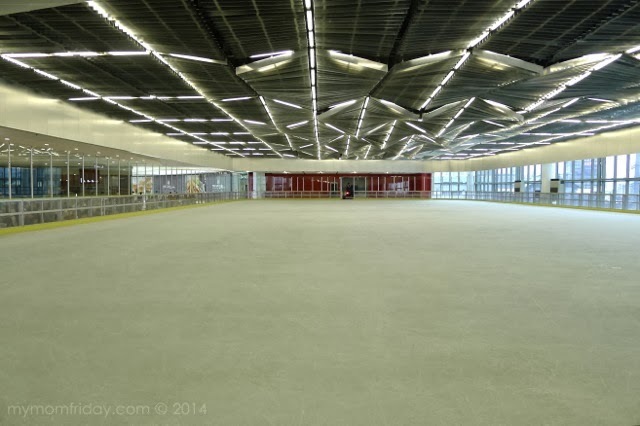 There is another waiting area on the other side of the rink, where you can get a closer look at the skaters. 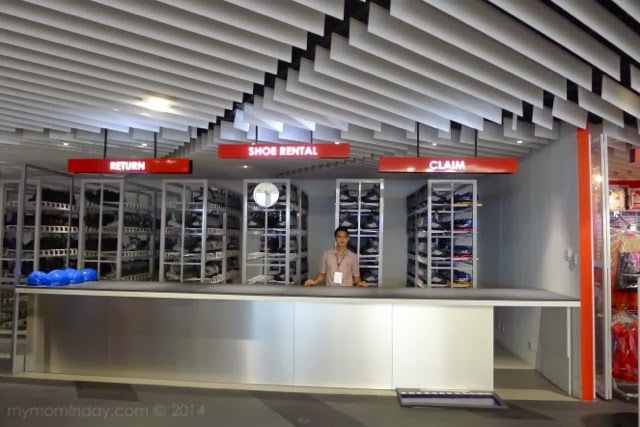 Once you enter, you can go to the Shoe Rental counter and ask for your size. 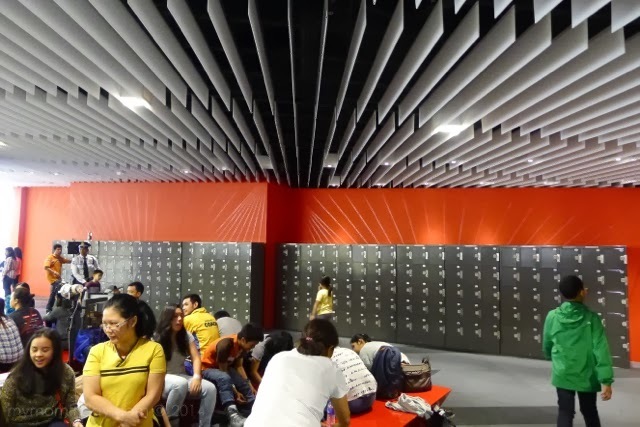 You can also claim the locker key if you paid for one. 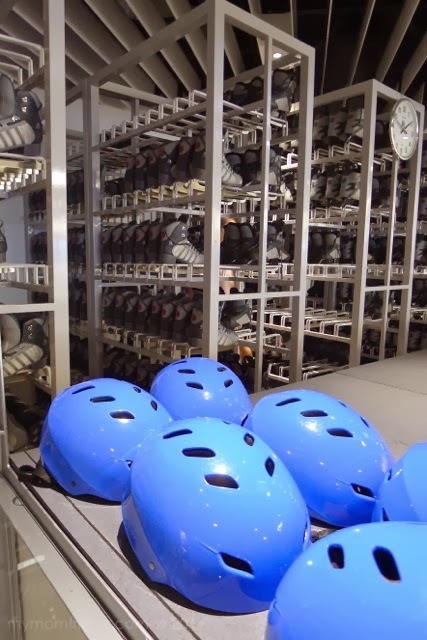 There is a specialty store beside it if you need socks, gloves, even costumes, and other accessories. Wear sports socks, comfortable clothes with jacket, apply lip balm and sip water before goin in. It's very cold and dry on the ice. 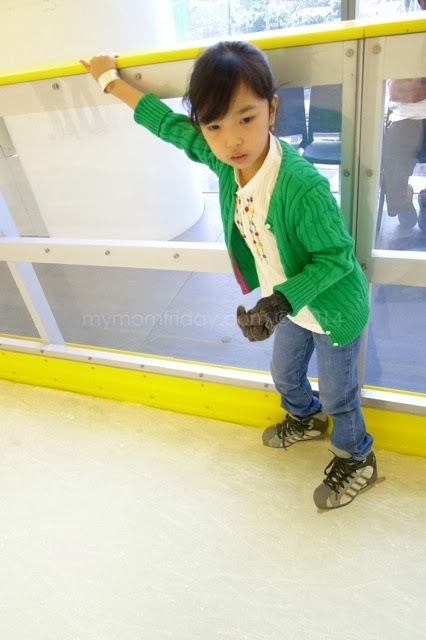 Mittens/gloves would help protect your hands especially if you fall, but is quite difficult to grab on the dasher board. We're both laced up ready to go. 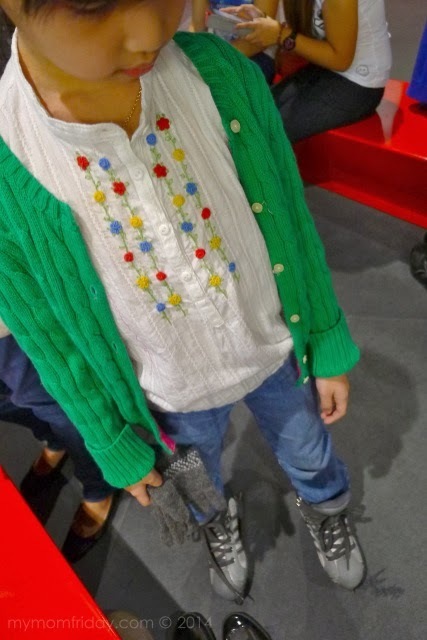 It took a lot of energy just to wear the skates, hahahaha! 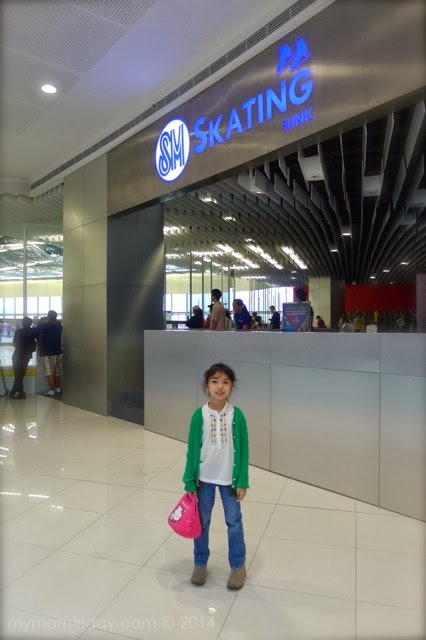 The kiddie skates have two designs, and the girl chose this newer model. 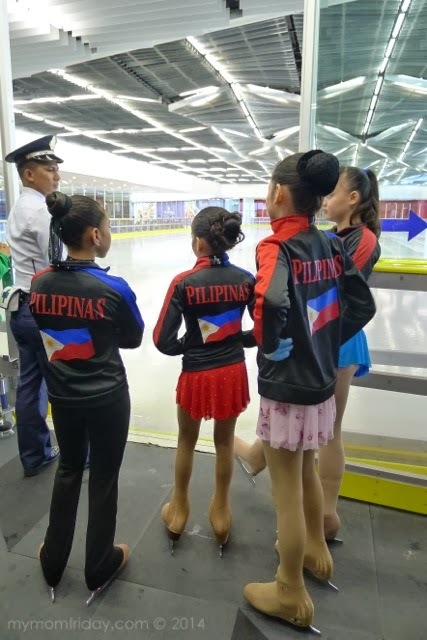 Check out the red skates on her friends behind her. 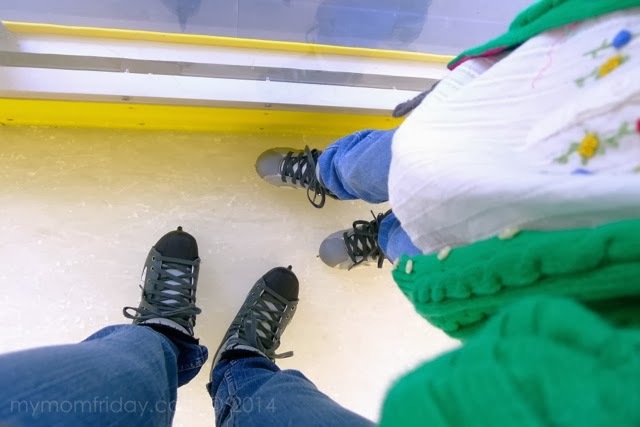 The girl and her classmates were cruising on the side of the rink, holding on so tightly on the dasher board and were a bit scared to fall. That's expected. I did too! LOL! =) Actually, almost everyone were doing that and only very few were really good skaters. 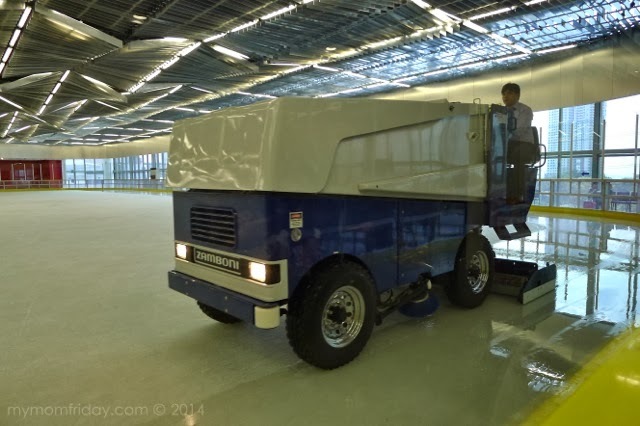 Our rounds were cut short for the regular ice resurfacing. 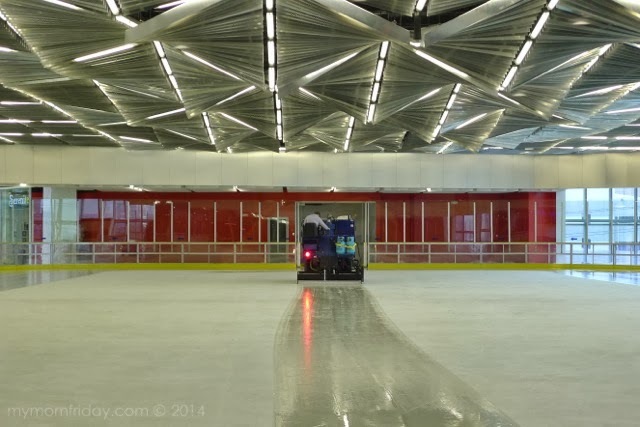 Here, the girl and some figure skaters patiently wait for the Zamboni machine to finish. 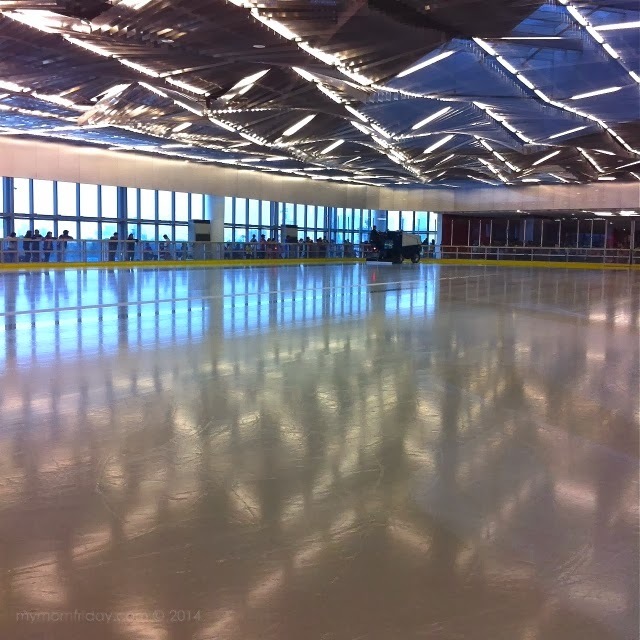 The ice is smooth and clean again and we went back for a few more rounds. The girl gain some confidence gliding on the side, still grabbing by the dasher board, but skating much faster! It was exhilarating and tiring, but super fun overall. My bum and calves are still sore, but I promised the kids we'll be going back very soon!